My love for music started at a very early age. I remember carrying my ghetto blaster and singing at the top of my lungs. One of my first loves was Bon Jovi. I remember belting out Living On A Prayer at the top of my voice thinking that I could actually sing. Boy, was I wrong. When the opportunity came to us to go to Bon Jovi I was so excited. I had never seen him live. I had always wanted to go, but for one reason or another I wasn't able to. I'm sure my parents were not keen on going to concerts with screaming teenagers. 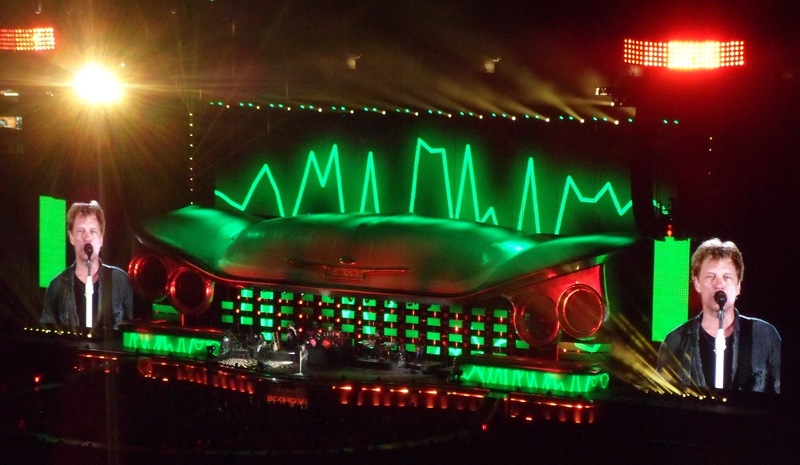 First, I would like to comment about the awesome stage setup. It is set with a 50's style classic car. The car lights up and behind it really cool pictures flash. On the left and right side of the stage you get a close up view of Bon Jovi and his band. The screens are crystal clear. 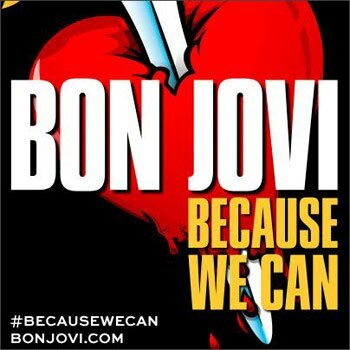 I was so glad that Bon Jovi played both his new and old hits. I enjoy all of his music, but the music that I grew up listening too holds very special memories for me. Music always takes you to a special place in your mind. The Bon Jovi band formed in 1983 and is still going strong. I am amazed that Bon Jovi is 51 years old. He doesn't look a day over 40. I can't deny that with his sparkly white teeth and great physique that I wasn't as goo goo as all of the rest of the girls at the concert. Would I recommend this concert? Heck yes! 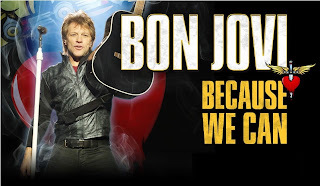 If you have always wanted to see Bon Jovi live in concert, do it now. You never know if a performer will decide that it's his last tour. 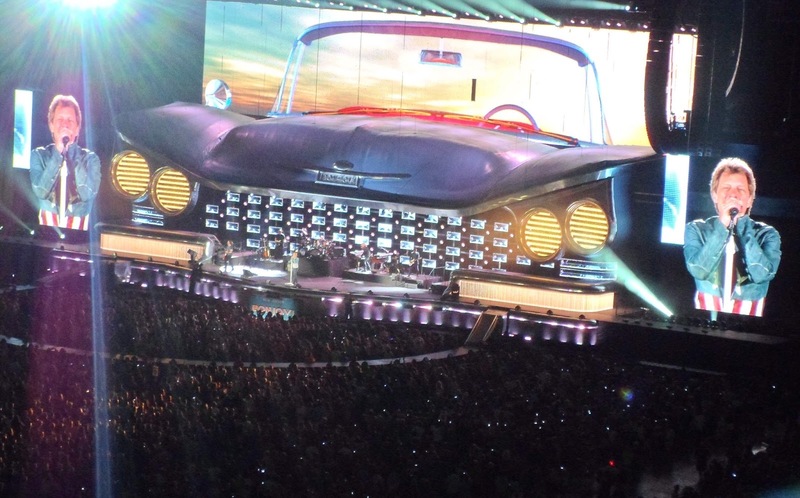 If you're a big Bon Jovi fan, it's time for a road trip. *Tickets were courtesy of Ford Field. The opinions expressed are my own.